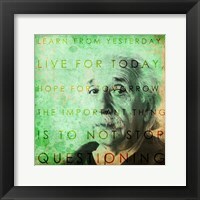 This Einstein – Never Made a Mistake Quote print is printed right at FramedArt.com in our New Jersey warehouse. Unlike prints we get from publishers, this piece is printed specifically for each order that is placed by our skilled printing team. 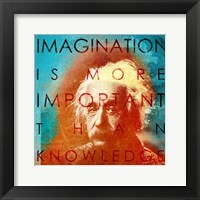 Though this print is high quality, we offer framing to add style and protection from damages that may occur. We offer a variety of frames and mats in different colors and sizes to ensure one will match your specific art print. If you want a ready to hang Cheryl Valentino framed print, select your options below.